Site design services are typically the lead component of a development proposal. These services set the stage for the development project by analyzing zoning, site features and setting. These parameters are necessary for laying out conceptual residential, commercial and other land uses before hard lining development proposals. When providing site design services the lead design professional frequently leads the approvals process through the local and SEQR review. 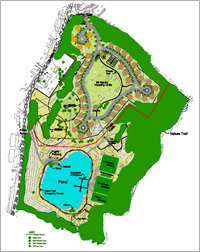 Landscape plans supplement this effort as a component of the site engineering plans. Other related services include storm water green infrastructure planting plans and wetland remediation planting plans, buffer planting plans and habitat enhancement programs. Identify and analyze zoning parameters for development. 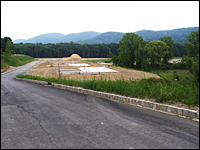 Determine necessary local approvals such as site plan, subdivision, special permit, and/or variance(s). Graphically illustrate setbacks, buffers and other constraints. Assess important natural site features to preserve and enhance. Identify and analyze environmental constraints such as steep slopes, wetlands and water courses. Consider community attributes such as schools, recreation services, and emergency services. Analyze area road network and identify optimal site access points. Layout single family subdivisions including roads, lots, homes, driveways, decks and patios. 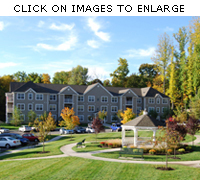 Layout multifamily site plans including roads, buildings, community centers, recreation facilities and open space. Design layouts that preserve important specimen trees or stands of trees. Evaluate trees for conservation value and health. Identify important views and orient development to take advantage of them if positive, or screen if negative. 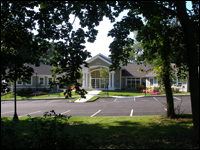 Design landscape plans for special features such as entrances, recreation facilities and clubhouses, and stormwater infrastructure. Layout interior roads, parking and building footprints. Design roadway, parking lot and buffer plantings. Design passive and active uses for open space set asides including community centers, playgrounds, pools and playfields. Layout overall street tree, buffer and storm water green infrastructure plantings. Design planting plans for individual buildings. Design entrance features using plants, stone walls, fencing, lighting, and water features. Layout lighting plans and specify fixtures, wattage and lumen contours. Specify naturalistic area plantings including native grasses, wildflowers, shrub and tree species. Prepare construction cost estimates for plant material installations. Prepare presentation drawings and elevations. Prepare photo simulations of proposed developments. Present development proposals to boards and the general public. Analyze existing natural and cultural resources. Analyze existing land use plan and development related ordinances. Assess current growth trends and patterns. Assess impact of recent and ongoing development. Assess existing infrastructure and supporting natural resources (roads, sewerage, public water supply, groundwater supplies, etc.). Make recommendations for changes to existing land use plans and development ordinances (zoning, subdivision, etc.). Make recommendations for creation of or changes to landscape ordinances, slopes ordinances, wetlands ordinances, etc.